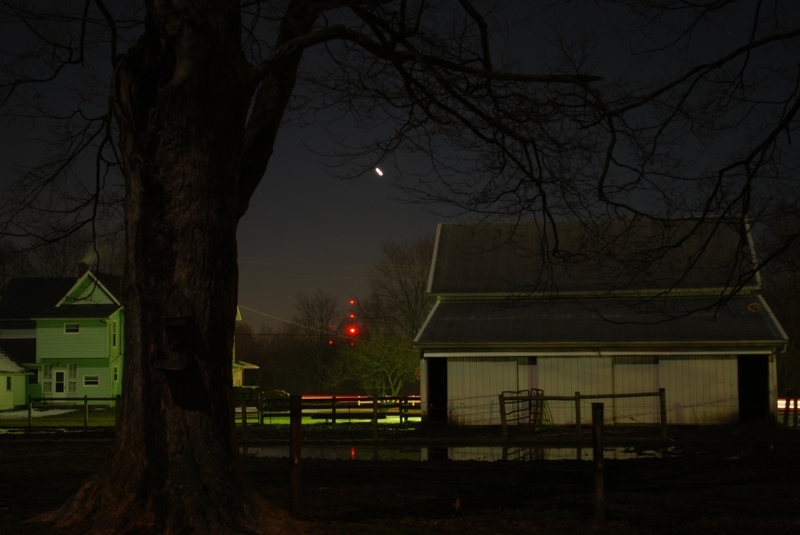 Photos taken from my yard at night. The bright streak in the sky is Venus. 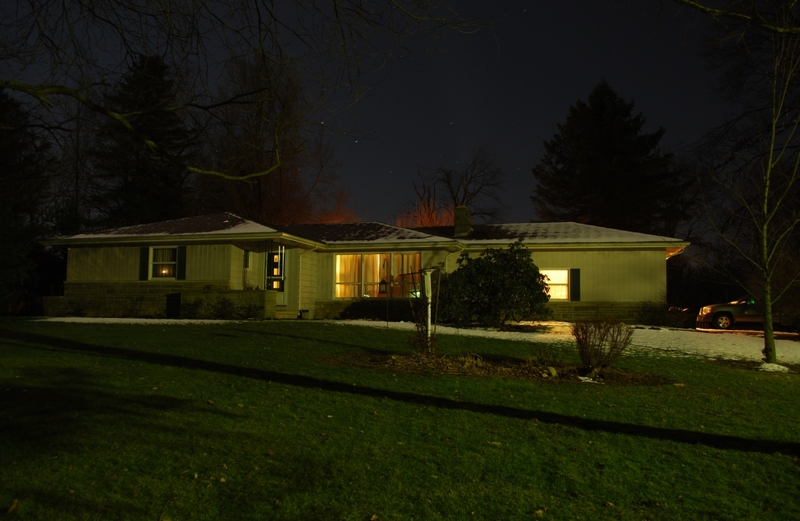 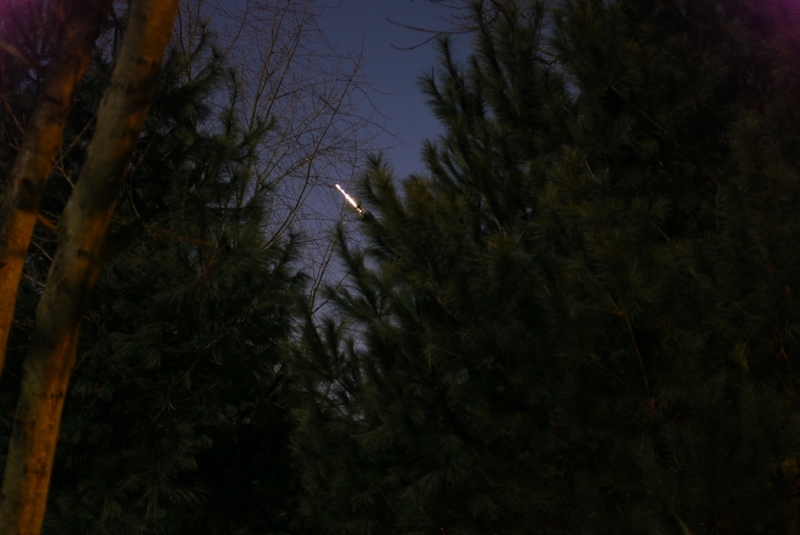 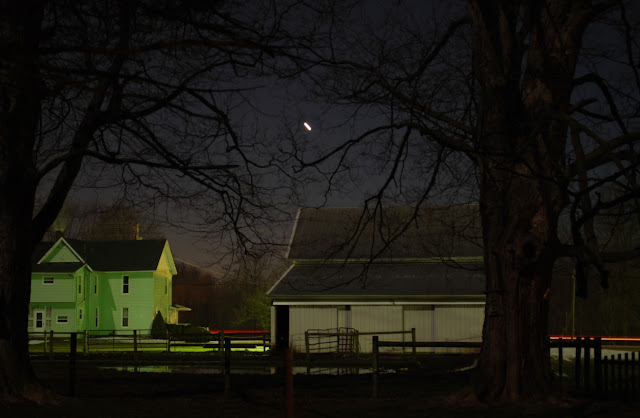 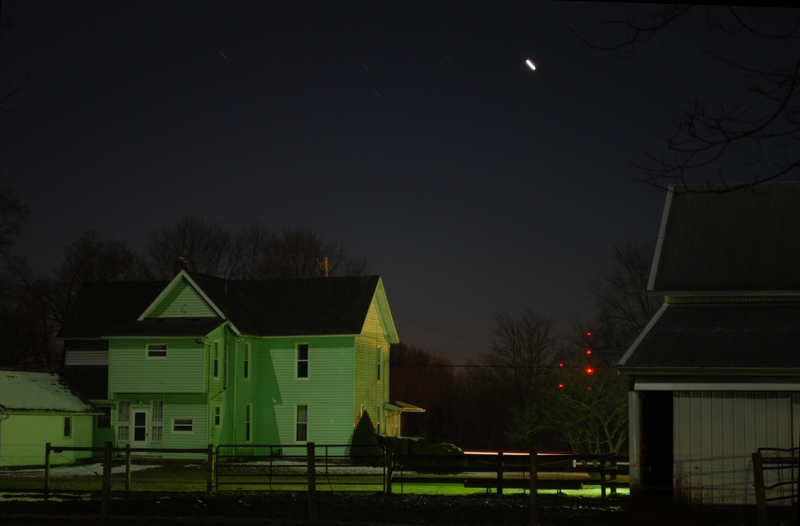 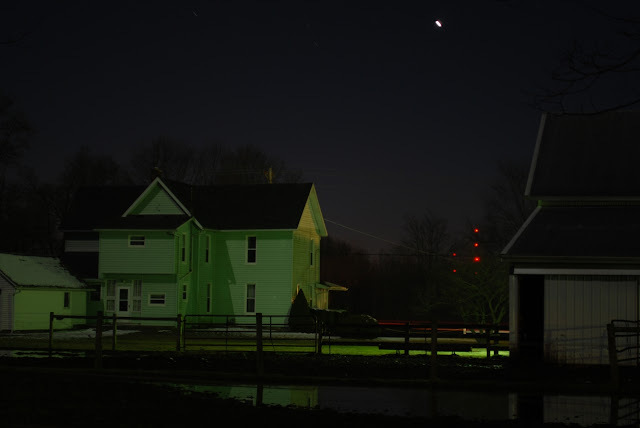 It appears as a streak due to the long exposure (from 30 seconds to 4 minutes) due to the Earth's rotation. 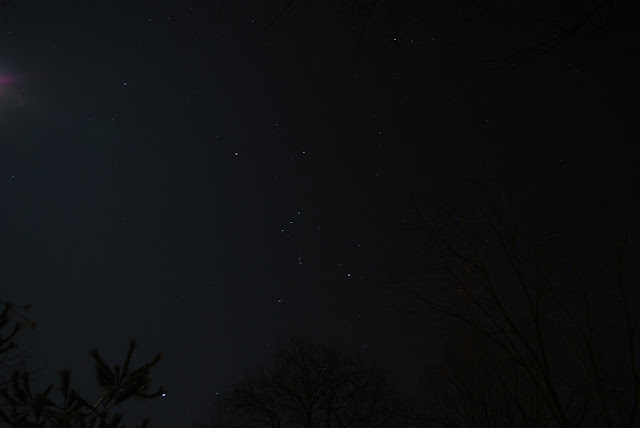 In the second photo, the constellation Orion was captured, complete with a lens flare courtesy of a nearby full moon.